If you travel with your machine... If you're sick of driving to the hardware store when you have leaks or have problems with the diverter and adapters that ship with the machine... Here's the solution. The travel Pack.... 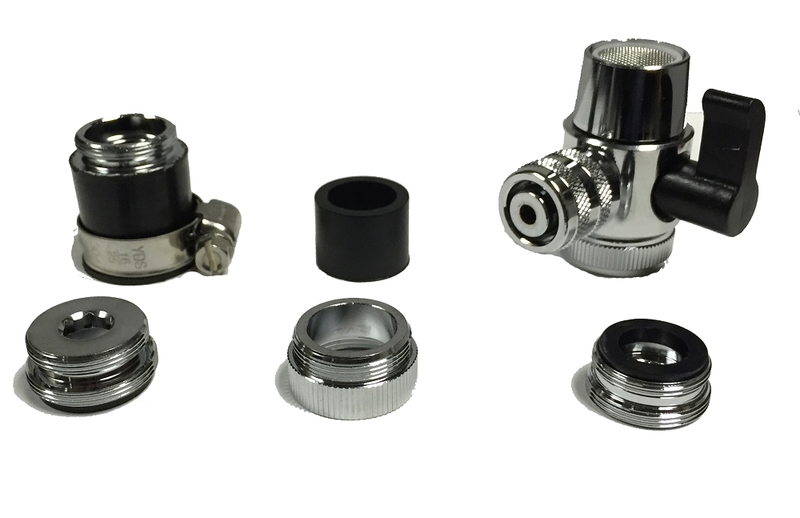 It's a combination of our Mini diverter and the Ultimate Adapter kit. You can read about the adapters in the description of the Ultimate Adapter Kit Don't leave home without it! 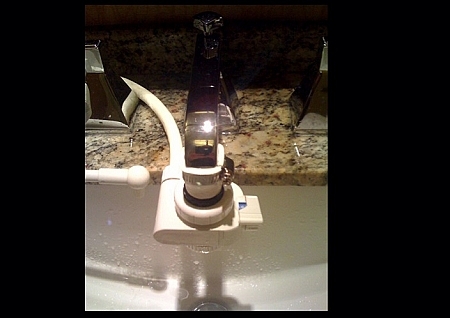 Recently in San Antonio at Change Your Life Weekend the travel pack saved the day, letting lots of distributors hook up their machines in their rooms even though their sinks had square faucets. Who says you can't put a square peg into a round hole.